It's easy to save cash with Campos vacation packages on Expedia. You'll have loads more time to work out your thrilling experiences — and more spending money! Savings of up to C$590* are waiting for savvy vacationers who book a package deal on Expedia. With more than 400 partner airlines and 321,000 worldwide properties for you to choose from on our comprehensive database, you'll be setting off on your next vacation in no time! There's no limit to the number of awesome things you can do when you're in a new destination. So why not get your trip to Campos off to the perfect start by checking out some of our suggestions? After all – out there starts here! Eager to add some deeper meaning to your vacation? Make the trip to Church of Saint Benedict. No matter your spiritual beliefs, it's a fantastic place to familiarize yourself with the local religion. There's a wonderful range of things to do in this destination. Check for tours at Sao Salvador Cathedral. While you're here, take a couple of minutes to occupy one of the pews and enjoy some personal reflection. Still got time to spare? Theater challenges how we think and asks us to aspire to bigger and better things. See a production at Trianon Municipal Theater and expand your way of thinking. 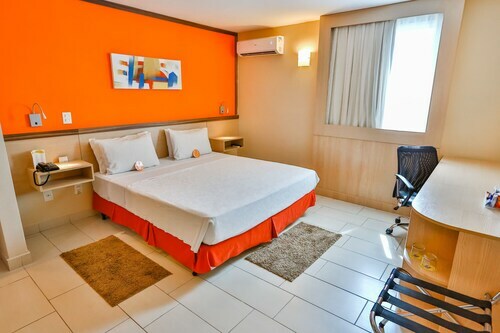 After somewhere to sleep for your luxury getaway or cheap vacation in Campos? It's recommended that you act now, as there are only 4 Expedia accommodations to choose from. 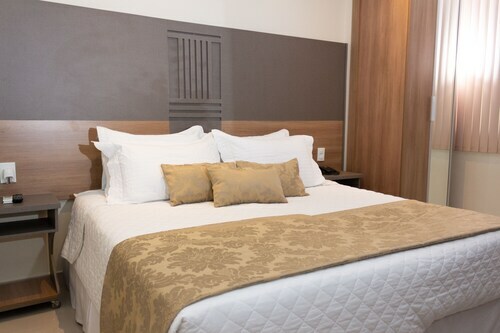 At the Comfort Hotel Campos Dos Goytacazes (Avenida 28 de Marco 639/643) and the Tulip Inn Campos de Goytacazes (Silvio Bastos Tavares 340) you'll find soft beds, top-notch amenities and great reviews! Based just 7 miles (11 km) away, Bartolomeu Lisandro Airport (CAW) is the most convenient terminal to your destination. Fasten that seat belt and turn off that in-flight film — your well-earned trip to Campos isn't far off now! ótimo custo e benefício. 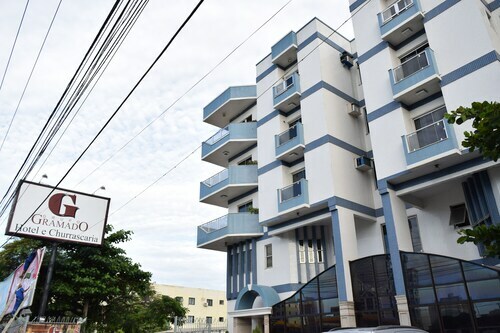 Todo hotel muito limpo e funcionários atenciosos. 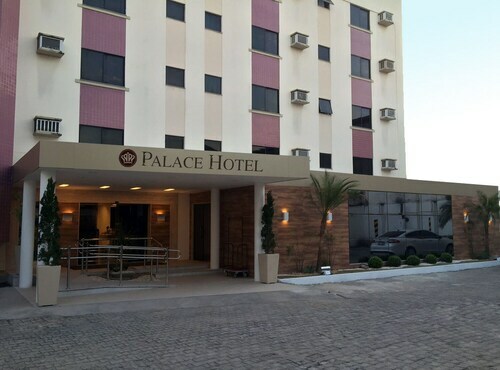 Hotel novo e muito bem localizado. Piscina e academia muito boas também. This was my first time in Campos and the hotel was a great choice. 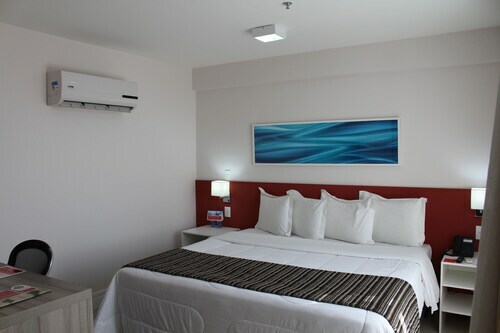 Well located and great service and room. 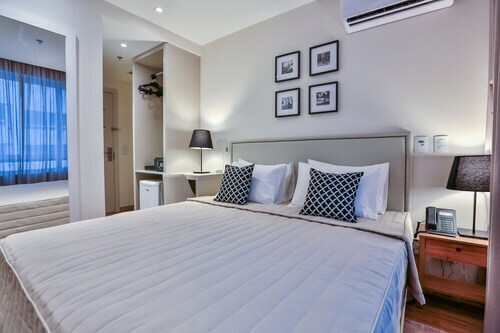 Situated in Campos, this apartment building is within a 5-minute walk of Villa Maria Culture House and SESC Campos. Bolso de Campos Theater and Sao Salvador Cathedral are also within 1 mi (2 km).